- Professional heavy duty axe - Lightweight fibreglass core shock absorption - Drop forged, hardened and tempered - 1.5lbs / 680g. This Dekton 1.5lb hand axe is ideal for chopping logs etc. It has strong wooden handle and a heat treated carbon steel head for strength and durability. Overall length 400mm. Handle length 330mm. . 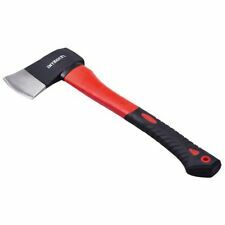 Carbon Steel Log Splitting Maul With Fibreglass Handle. 1.5lb Fibreglass Hand Axe features a contoured handle for a more secure grip. The fibreglass shaft reduces fatigue and increases shock absorption during prolonged use. Fibreglass Shaft for high shock absorption. 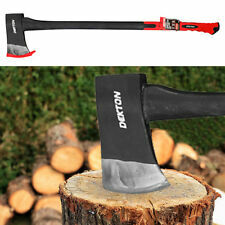 Hand Axe Hatchet Splitter Firewood Log Chopper Wooden Handle 1.5Lb Steel Head. 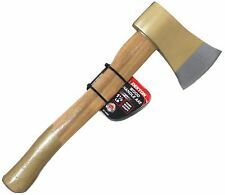 1.5lb wooden handle shaft axe hatchet. 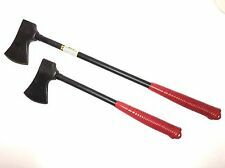 SET OF 24" AND 17" LONG HANDLE AXE WITH 3" HEAVY DUTY BLADE. HEAT TREATED. LONG HANDLE WITH SOFT PLASTIC ANTI SLIP GRIP. BLADE COVER POUCH. 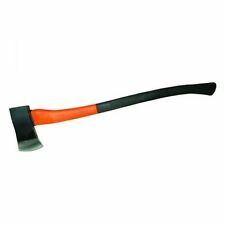 ThisHand Axe with Fibreglass Shaft and Rubber Grip Handle is ideal for chopping logs, firewood etc. It has a fibreglass shaft with a rubberised handle so that less of an impact is felt in the hands, wrists and arms during use. Cant locate an item you require?. and Thermoplastic Rubber Grip. High Grade Steel Head. Supplied with safety blade guard. Shaped wooden shaft. Long tapering Head, wide at the eye. Pitted but appearing largely unused. New handmade 30” Ash handle. Jarrah wedge, treated with boiled linseed oil. For felling, cutting and splitting wood. Cant locate an item you require?. 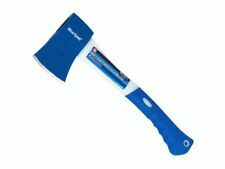 This4lb Felling Axe is ideal for felling trees, chopping logs etc. It has strong ash wood handle and a heat treated carbon steel head for strength and durability. Head weight: 4lb. 900mm ash handle. This axe represents a rare opportunity to acquire one of the most sought after axes ever produced, in 100% original condition. Complete with original paint and paper label. Cutting edge: 14.5cm. 4-ways wedge shape head for non-jamming. Four Stroke. Ideal for chopping with the grain small logs or pieces of wood into kindling. 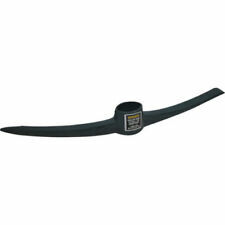 Concave thin blade for faster penetration into the wood. Handle fitted with moulded insert rubber grip. Hand Axe - 1.5 lb. 1.5 lb Hand Axe. Cant locate an item you require?. Manufactured to BS 3823. Overall length: 950mm (36”). 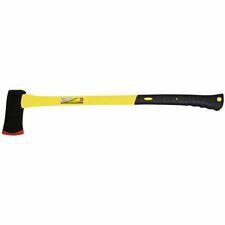 S71410 - Grade 1 HickoryHandle to fit standard pick axe or mattock eye. Hickory shaft fitted with a plastic head designed for increased grip in the eye of the pick axe or mattock head once fitted. 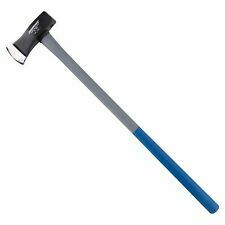 This 6lb Log Splitting Maul Axe with Fibreglass Shaft and Rubber Grip Handle is ideal for felling trees, chopping logs etc. It has a fibreglass shaft with a rubberised handle so that less of an impact is felt in the hands, wrists and arms during use. Elk Ridge 4" Stainless Steel Hex Camping Outdoor Wood Cutting Axe Wooden Handle. 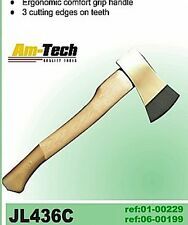 1.5 LB Hand Axe Fibreglass Handle Rubber Grip. Here you?ll find the latest and greatest products. In other words ?. When you order from us, you?ll always get a great product at a great price. Fibreglass shaft with shock absorbing rubber grip handle. Vintage Elwell 2 1/2lb Axe. Made in England. 27 inch long. Lovely original hickory handle. Has been sharpened & is ready to work. Head tight to handle. This axe is in really nice condition buyer will not be disappointed. Sharpened edge will be protected with a removable plastic protector. Dispatched by Hermes. vintage Sandvik 1 1/2 Lb Hatchet/axe. Made in Sweden. All in good clean useable condition. Sharpened ready to go. Edge will be protected with a removable plastic protector. Photos form part of my description if you are unhappy with my description please contact me to resolve your issue. New listingVintage AXE HEAD "DEMONAX"
Age related use. NO OVERSEAS SALES. 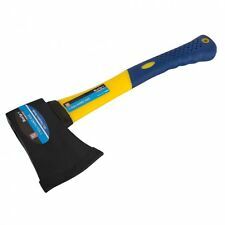 This4lb Felling Axe is ideal for felling trees, chopping logs etc. It has strong ash wood handle and a heat treated carbon steel head for strength and durability. Head weight: 4lb. 3 YEAR – for power, air, petrol tools. 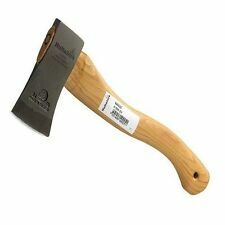 This4lb Felling Axe is ideal for felling trees, chopping logs etc. It has strong ash wood handle and a heat treated carbon steel head for strength and durability. Head weight: 4lb. Good condition eagle edge tool co (Brades) Hatchet 1lb. Sharp full bit. One used Brades Criterion small hand axe hatchet. In clean used solid sturdy condition with couple small cracks in handle near head but still firmly attached. Total weight including handle 600 gms. Vintage Spear &jackson 5lb Axe Head. Made in England. All in good clean useable condition Has been sharpened ready to go. Edge will be protected with a removable plastic protector. Photos form part of my description if you are unhappy with my description please contact me to resolve your issue. .listed here is a 1 1/2 lb Elwell woodworking Axe Hickory handle and extremely sharp blade. Axes are awesome tools in the right hands,Standard tool in all joiners kit before the electric planer. Vintage Axe Head actual weight on my scales 13.3oz. Pitted by rust,no makers mark but looks a quality head. Forged steel powder-coated head with polished cutting edge. Shock-absorbing fibreglass shaft with nylon surround and high-grip rubber handle. Supplied with plastic blade sheath. 1.5lb (0.68kg For manufacturers lifetime guarantee you just need to register online within 30 days of purchase. .
A genuine antique axe head. Has wear & a crack to it (see photo). Hultafors Agdor. head weight 800g 1 3/4lb. Hand forged in Sweden, with a sandblasted and clear laquered finish. The axe head has a simple single bevel grind ideal for chopping and splitting. It is portable, functional and very good value for money for pursuits in the great outdoors. Pattern: Ladder. We will resolve any issue in. misuse of our item.